Bhubaneswar: Odisha Tourism Development Corporation (OTDC) has signed a memorandum of understanding with OYO Rooms ahead of the Odisha Hockey Men’s World Cup Bhubaneswar 2018. As part of the agreement, OYO will increase the inventory of rooms on the OYO platform and will endeavour to take on board the hotels and homestays in Odisha to accommodate the enhanced demand for accommodation during the world cup. OTDC will promote the accommodation services offered by OYO amongst its guests through website integration and other means. 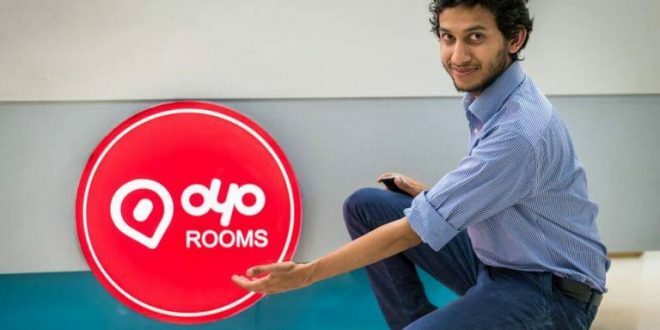 Ritesh Agarwal, Founder & CEO – OYO, said, “It’s a matter of great honour and pride for us as India’s leading hotel chain to partner with OTDC for the Men’s Hockey World Cup that is being hosted in Bhubaneswar, this year. All the eyes will be on India, and we at, OYO, are really excited to offer our quality and beautiful living spaces backed by our award-winning service, to the sports enthusiasts visiting the city from India and other international markets.